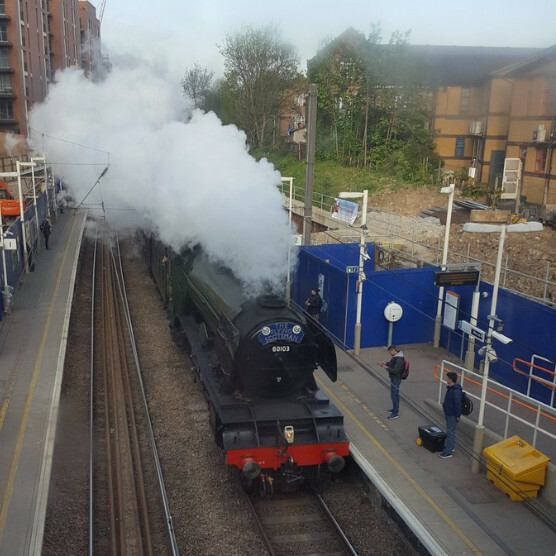 West Hampstead Life | What have you missed since April 17th? Theresa May announced a snap general election. Election fever hit West Hampstead, again (includes summary of the state of play). However, ironically, the Tories have been caught on the hop has they don’t have a candidate, yet. They are deciding this week. A Brexiteer or not a Brexiteer, that is the question. Bins continued to be a hot topic. And the reason that some of you haven’t got your new bins or orange bags yet? is that Veolia has ‘run out’. At least a week until they get new supplies. This is ‘98% normal’ service. In an apparently politically motivated attack someone cut down the Nazanin freedom ribbons and cards. We love leafy West Hampstead – find out how to keep it that way (and more about West Hampstead’s trees including our plane trees). Been rather dry recently – you bet. So far 0.4mm of rain this month, normally we get about 50mm in April. 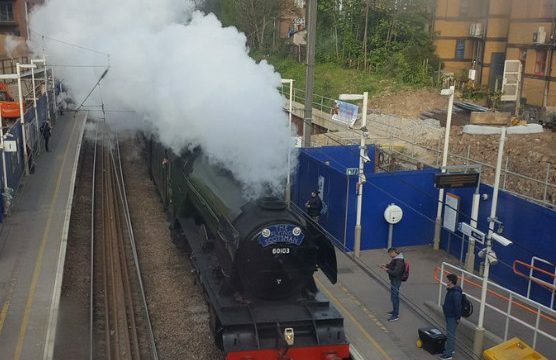 West Hampstead in 2017: butcher, baker and… computer games maker. Work continues at Lena’s Cafe 2. Due to reopen soon. And Lola’s cupcakes was due to open (at the end of April)? Looks like Rosa’s Thai should beat them too it. Vigorous campaigning on West End Lane this weekend – by the Friends of West Hampstead Library party. Camden Council is voting on adopting a new definition of anti-Semitism at full Council on Monday. Cllr Phil Rosenberg wrote why it is important they adopt it. That Council meeting will be Sarah Hayward’s last full one as leader since she is stepping down as leader of Camden Labour. Great book talk and reading at West End Lane books last week by Philippe Sands on East West Street. Recommend a visit to Camden Arts Centre to see the Geta Bratescu exhibition, runs until 18 June. And ‘Mill Lane FC’… catchy chant! Click on it to get the full effect.